I’m a Distributor for Young Living Essential Oils. Essential oils are a healthy, safe, and natural way to help with many ailments that so commonly affect us on a daily basis. Today’s lifestyles don’t always create optimal conditions for physical and emotional wellness. Poor diet, lack of exercise, and an overabundance of environmental toxins can leave the body unbalanced and diminish energy levels. Anything from weight management, to cleansing your body and mind, Young Living Essential Oils support every system of the body. Using essential oils and essential oil-infused supplements can provide the targeted solutions you need to restore balance and feel your very best. Essential oils have been used for thousands of years for many applications. Today, there are well over 300 essential oils in use by professional practitioners, each with its own centuries confirmed practical application. But don’t worry! You certainly don’t need 300 essential oils in your home to reap their benefits. Essential Oils have protective properties which are the plant’s natural defense mechanism that work the same in our bodies. Essential Oils have a unique ability penetrate the cell membrane and transport oxygen and nutrients inside the cell, thus giving more support to the immune system. They can effectively combat the damaging effects of toxins, impurities and harmful substances in and around our body. 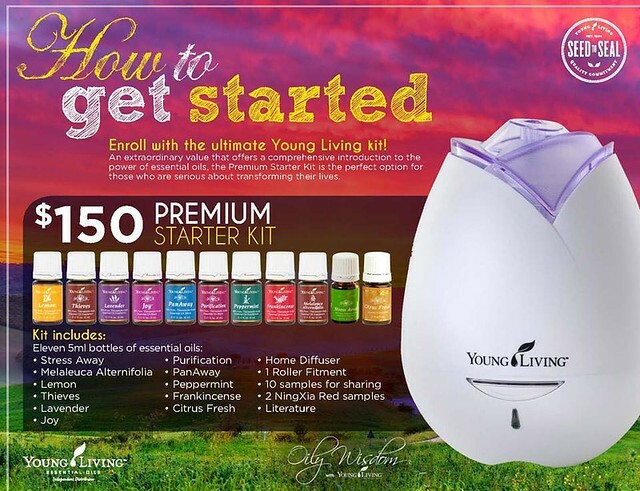 If you’d like to get started with Essential Oils click here!